Within my first months as director of the Neal-Marshall, I began working very closely with Chief Flint and Captain Stephenson of the Indiana University Police Department. I have seen their commitment, as leaders, to ensuring that the law enforcement community that serves IU is fundamentally more prepared to serve a cross-cultural community than many other law enforcement communities have proven themselves to be around the country. We have corresponded and met on several occasions to discuss various elements of cross-cultural interactions, implicit bias, racism, and community building. I consider IUPD to be a dedicated partner in fostering a community that is welcoming, respecting, inclusive, and safe for all. Partnership should always be accompanied by accountability and responsibility. I believe the intent of Capt. Stephenson's statement is to deliberately express that IUPD is aware of the current climate and tensions between marginalized communities and law enforcement throughout the country, AND that IUPD is committed to being a better, more effective resource within this community.This is a marathon, not a race. Fighting against implicit bias within systems and individual human beings must be a consistent journey. In this, I can validate that this work is being done by way of continued education and professional development of IUPD officers and continued evaluation and modification to the cross-cultural education and curriculum provided within the IU Police Academy. I believe Capt. Stephenson should have stated that the GOAL of IUPD is to serve all members fairly, equally, and without bias. I don't believe IUPD truly has the resources or capability to know that every human being that is a currently member of the force is living up to this claim. I believe that once individuals show themselves to be working outside of these guidelines of fairness and equity, the department will work swiftly to review and address the individual or the situation, but I know that no one has the technology to read, with 100% accuracy, the hearts and minds of individuals. I am encouraged that IUPD is committed to a true partnership with the community and know that Chief and Captains consistently seek feedback and information that could better help IUPD work toward their goal of fair and just service for all members of the community. 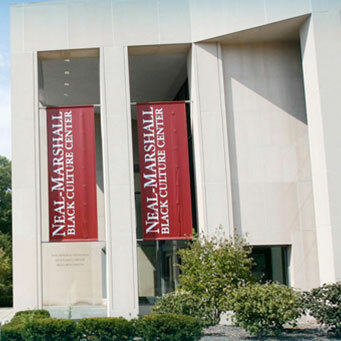 The Neal-Marshall Black Culture Center is also committed to working alongside IUPD and all other campus partners in fostering and building a community that is welcoming, respectful, inclusive, supportive, and safe for all.